Whether you need to reach mobile home dealers or companies that sell building materials, you'll find their contact information in this hardware industry email database. Let us provide you with a building supplies mailing list that you can use to reach all of your marketing and revenue goals. Making contact with building and garden supply companies can be difficult if you don't have the right business mailing list. 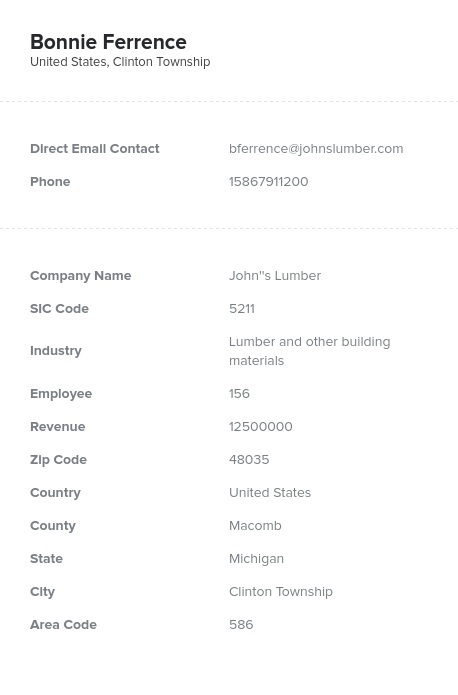 With this accurate building materials email list from Bookyourdata.com, you will have the most current data available in a B2B email list that is human-verified. When you are trying to sell to hardware sellers, you don't have time for outdated or incorrect information: You need the valuable data in this updated building supply email database. Is your target audience made up of mobile home dealers? Then waste no time in getting this data product, which also acts as a comprehensive mobile home dealer mailing list. You can pull all of the accurate data from our mobile home dealer email list and use it to enhance your company's CRM platform or business database. With this all-in-one building supplies email list, you can develop reliable B2B contacts and get your marketing data to your target audience. Whether you work in the retail or wholesale side of the building supplies industry, you will need a strong hardware email database to reach your potential customers. Contact us today and buy the human-verified home and garden supply mailing list you need to beat the competition.